What is Theory of Relativity? Einstein proved that Matter, Energy, Space and Time are interlinked by a special relation.He stated that the position of a body influences time. According to Einstein’s theory of relativity, time slows down under the effect of gravity. Accordingly, the passengers on a plane flying somewhere with lower gravity will age by a few extra nanoseconds on every trip. Stephen Hawking and many other scientists supported the theory of relativity of time. Einstein and Hawking’s theory that time passes more slowly near centers of gravity has been proved by experiments conducted by American scientists. A rocket at high altitude and two separate sites with different gravitational fields were selected for the first experiment. Two very sensitive atomic clocks, capable of measuring atomic vibrations were installed in these two locations, which had different gravitational fields because of their different altitudes, and the relative nature of time was confirmed. The scope of the experiment has today been increased and relativity has been observed in daily life. Two atomic clocks hundreds of times more sensitive than the original ones were used for this experiment. But it was not the two sensitive atomic clocks that distinguished this experiment from the earlier one. The difference in elevation between the two clocks was a mere 33 cm. Let’s try it out with a pair of pretend twins, Al and Bert, both of whom are 10 years old in their highly futuristic universe. Al’s parents decide to send him to summer camp in the Alpha-3 star system, which is 25 light-years away (a light-year is the distance light travels in a year). Bert doesn’t want to go and stays home on Earth. So Al sets out on his own. Wanting him to get there as quickly as possible, his parents pay extra and send him at 99.99 percent the speed of light. The trip to the star and back takes 50 years. What happens when Al returns? His twin brother is now 60 years old, but Al is only 10 and a half. How can this be? Al was away for 50 years but only aged by half a year. Has Al just discovered the fountain of youth? Not at all. Al’s trip into space lasted only a half year for him, but on Earth 50 years passed. Does this mean that Al can live forever? Nope. He may have aged by only half a year in the time it took 50 years to pass on Earth, but he also only lived half a year. And since time can slow down but never goes backwards, there’s no way he could grow younger. 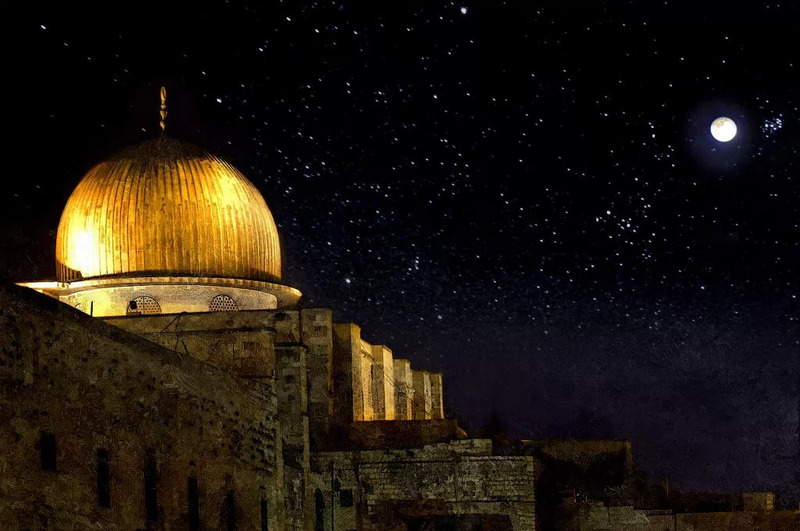 As such, there is scholarly consensus (ijma) Prophet Muhammad (Sallallahu Alaihi wasallam) journeyed in body and soul the night of al-Isra’ from Masjid al-Haram in Makkah to Masjid al-Aqsa in Jerusalem. 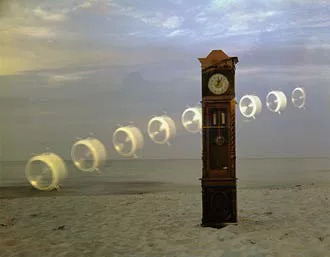 According to Special Theory of Relativity– if a body travels with the velocity of light then Time Dilation and Relativity of Simultaneously occurs. Time dilation is an actual difference of elapsed time between two events as measured by observers either moving relative to each other or differently situated from gravitational masses. Therefore, time seemed to stop or a very short duration of time passed as mentioned in the Qur’an.